We are recognized to be one of the innovative Instant Soup powder's Manufacturer & Exporter in India. Instant soup is a type of soup designed for fast and simple preparation. As we know that Soups are the starters that are had before the main course. But people all over the world have soups as snack. We are offering nutritionally rich Instant Soup Powders that are mixed in Hot water and serve. 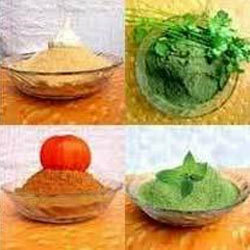 The delicious Soup powders are offered by us is prepared from fresh vegetables and spices. Sweet Corn Soup Powder is probably one of the most widely used Vegetable Powders in the Food and Beverage Industry having applications in many Food Products. As we know that Soups are the starters that are had before the main course. But people all over the world have soups as snack. We are offering nutritionally rich Instant Soup Powders that are mixed in Hot water and serve. 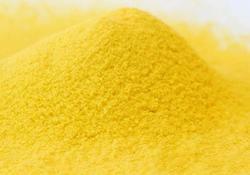 These Sweet Corn Soup Powder are duly tested by our experts on various quality parameter. We prepare Sweet Corn Soup Powder using finest quality sweet corn, which are cultivated in hygiene and well developed fields under strict supervision of our experts. In addition, our powders are recognized for their attributes such as high shelf life, rich flavor and purity. Tomato Soup Powder is probably one of the most widely used Vegetable Powders in the Food and Beverage Industry having applications in many Food Products like Soup Mixes, Seasonings, and Snacks among others. 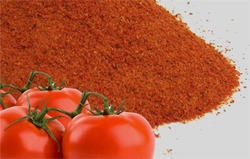 These Tomato Soup Powder are duly tested by our experts on various quality parameter. We prepare tomato soup powder using finest quality tomato, which are cultivated in hygiene and well developed fields under strict supervision of our experts. 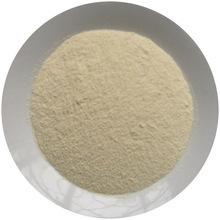 In addition, our powders are recognized for their attributes such as high shelf life, rich flavor and purity. We are manufacturing the wide range of mix vegetable soup powder which are prepared after Drying and Grinding of natural vegetables. We source the best and the freshest vegetables and condiments and process them at our plant where they are washed, sorted, converted in to pulps, concentrated and later spray dried. We maintain the integrity of these Mix Vegetable Soup Powders without adding any synthetic additives flavors or concentrates to them. This gives our products distinguishable Colour, texture and taste. Mix Vegetable Soup Powders maintain nutritional value and quality required for incorporation in Infant foods, Weaning foods, Snacks foods. We are supplier and exporter of Spring Onion Soup Powder. We offer best quality of Spring Onion Soup Powder. This Spring Onion Soup Powder is acknowledged for its purity among the clients. Spring Onion Soup Powder is perfect as a condiment, for taco mix, chili, Barbeque rubs, salad dressings, dips, marinades, and as an addition to hamburgers. It gives a perfect flavour without moisture, also, due to its nutritive value it is used in pharmaceutical industry as well. We are supplier and exporter of Palak Soup Powder. This spinach soup powder is processed by our workforce using high grade selected palak leaves sourced from the most trusted vendors of the domain. Our offered range of palak powder is widely known for its features like highly enriched with iron & other nutrients, unique taste & flavor and free from impurities. Palak Soup Powder can be availed by our prominent clients in air tight & hygienic packaging. 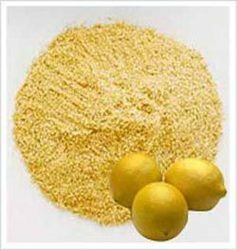 We are supplier of Lemon Coriander Soup Powder. The best way to live a fit and happy life despite this daily inconvenience, is to boost your natural immunity, and including vitamin C rich foods in your diet is one way of achieving this. That’s all the more reason to enjoy this delicious Lemon and Coriander Soup powder made with vitamin C rich ingredients like lemon, coriander, carrots and cabbage. The vegetable stock used in this recipe also helps boost vitamin C levels of each bowlful. Vitamin C is also helpful in relieving cold and cough, so enjoy this comforting soup piping hot on days you feel down, or any cool winter’s day for that matter. We are supplier and exporter of Karela Soup Powder . We offer excellent quality of Karela Soup Powder which is highly appreciated for uniqueness of packaging, purities, affordable prices and most nutritional values.